Born in 1996, AbeBooks has always been committed to putting people all over the world, in touch to millions of book titles. From classic novels to modern non-fiction, textbooks and much more - whatever book you’re looking for - you’ll be sure to find it with AbeBooks. With professional and independent booksellers from across the globe, listing their titles here - this is the perfect online platform to make finding those rarities, easy. Simply search by different criteria such as a keyword, author, book title, edition or even ISBN number, and once you’ve made your purchase, the bookseller will ship your goods directly to you. Letting you shop and buy in confidence with its truly secure service, AbeBooks is a pioneer of the secondhand book sector. Transforming the lives of students, academics, bookworms and avid readers everywhere - don’t hesitate to get connected and join the community for forums, a blog and more. These pages are brimming with book reviews, daily musings and general topics of interest about your favourite subject - with AbeBooks you will only fuel your literary passion. 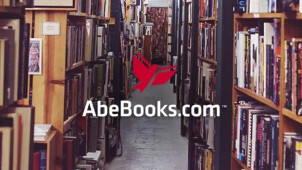 How do I use my AbeBooks voucher code? There is an Avid Reader Newsletter which you can sign up to at AbeBooks. You’ll then receive plenty of book news, site updates, exclusive competitions, offers and much more straight to your inbox! How can I track my AbeBooks order? You can find a tracking number and relative shipping company in the ‘View My Orders’ section of your account. Should this information not be displayed, you can contact the seller directly by clicking ‘Contact Bookseller’. Am I able to amend my AbeBooks order? You may make changes to or cancel your order, depending on whether or not it has been processed by the bookseller. If it hasn’t been processed you can cancel your order from your account, and if it has been processed you should contact the seller directly. Do AbeBooks sellers offer free shipping? You can search uniquely for books or booksellers who offer a free delivery service on the Free Postage on Books page. The costs and shipping times of books vary between sellers and their location. You can view this information by clicking ‘Rates & Speeds’ on the displayed results of your search. To request a refund, you must initiate your return via your AbeBooks account and ship it back to the Bookseller in the condition in which you received it. Find more information and returns scenarios online. Go online to search for specific queries and AbeBooks will give further instruction on how to proceed. To contact a specific bookseller, you can do this via the sales orders on your account. For the bookworm, student, teacher and all other avid readers - AbeBooks is the online marketplace for you. Stocking millions of books to entertain and inform you, an AbeBooks voucher code will let you save on brand new titles as well as secondhand and rare books too. With a mission to help people all around the world - find every book they wish, from any bookseller - you can truly let your literary passions run wild with AbeBooks. As well as letting you find the most sought after or rare titles online, you can even sell your own books through AbeBooks UK. You’ll be able to outreach to plenty of potential buyers and sell your books globally. With plenty of seller support, AbeBooks makes it easy for you to pass on your antiquarian book titles, any used textbooks, classic book editions and whatever you may have in your library. So now you can give your once loved titles a happy home, and get a little back too with AbeBooks. To explore a world of antiquarian book titles, signed copies, first editions and more - simply head to the Rare Books collection at AbeBooks.co.uk. Now you can go vintage and discover exciting titles for less with an AbeBooks discount code from us. From old school cocktail books to curated collections in Ephemera titles - here you will be sure to find truly riveting, thrilling and inspiring reads to add to your home collection!